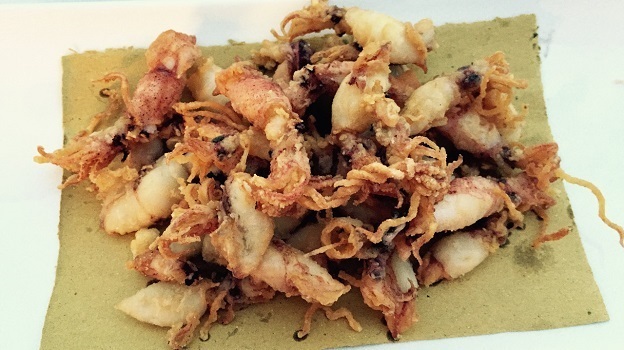 Alla Dama Bianca is one of my favorite places to go for Adriatic seafood at its best. The food is delicious, while the outdoor terrace is a fabulous spot to enjoy a leisurely meal and the long days of summer. Several recent dinners were outstanding. Don’t expect anything fancy; Alla Dama Bianca excels with the classics of Italian coastal cuisine. The fried calamaretti are to die for. Tender, flavorful and perfectly cooked, the calamaretti are worth a trip alone when they are in season. 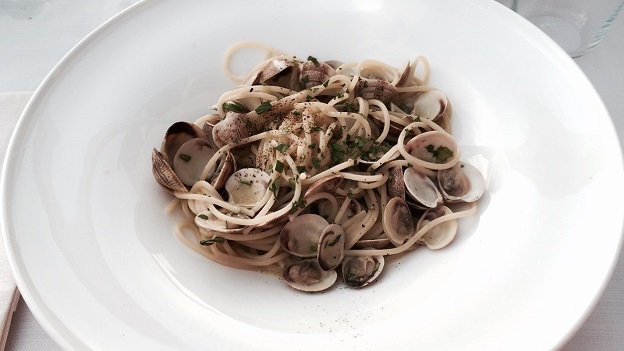 A plate of spaghetti alle vongole appears and is instantly devoured. 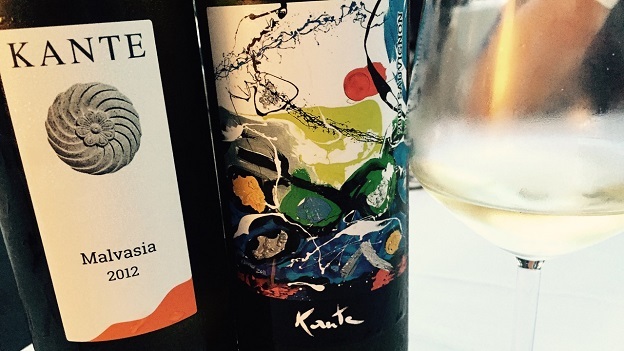 I rarely miss a chance to order Edi Kante’s wines, as they are well represented here and hard to find elsewhere. The 2012 Malvasia, a tasty, light to medium-bodied wine, works well with our first courses. Expressive floral and citrus notes add brightness in a vibrant, polished white that captures the essence of the nearby Carso. Our grilled calamari main course represents the essence of simplicity well done. The squid is perfectly cooked and absolutely delicious. A roasted San Pietro for two follows. Bold, lusty and intensely flavored, the San Pietro requires a deeper, more structured wine. Kante’s 2009 Sauvignon Selezione, which has just been bottled, is terrific, but clearly still needs time to blossom. Today the varietal character is a bit buried. Instead, it is the wine’s pure textural sophistication that stands out. Hints of lemon oil, slate, crushed rocks gradually open up in the glass, but the 2009 is not in the mood to deliver all of its pedigree, at least not yet. The Trieste coast remains one of the less well-known parts of Italy, but that is changing as money is increasingly being poured into new developments, the most recent of which is a large apartment complex in Sistiana. Duino remains a small, sleepy town with a few attractions, including the beautiful, fourteenth century Castello di Duino (also worth a visit) and Alla Dama Bianca. Reservations are essential, especially in the summer, when the outdoor terrace is full swing.